Advanced Beauty: What’s Hot in Non-Surgical Ways to Look Younger, Refreshed and Ready In Photos, Video, and Life. 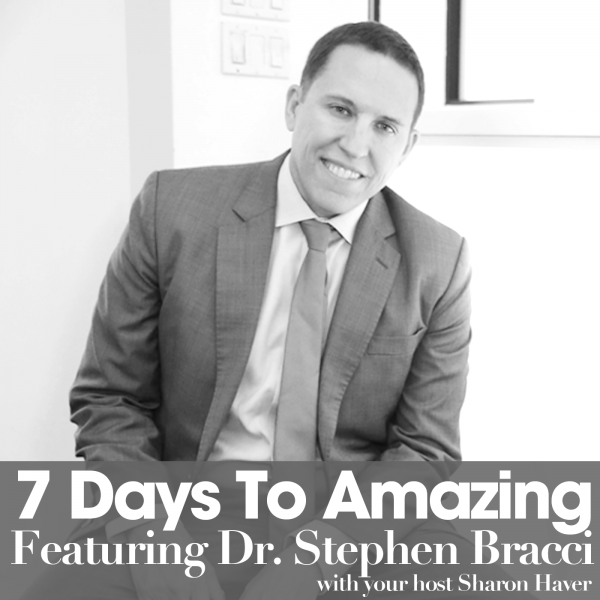 I am excited to announce our next guest on the 7 Days To Amazing Podcast, Dr. Stephen Bracci! Dr. Bracci is the owner and founder of Verve Medical Cosmetic since 1999, where he focuses on non-surgical solutions to improve and maintain a youthful appearance. He is changing the game on the “old school” methods of face rejuvenation with modern, safe and innovative techniques. Listen in and enjoy! Subscribe in iTunes so you don’t miss an amazing episode! We’re new, so spread the joy and please leave an iTunes review or 5 Star rating. Contact Dr. Stephen Bracci Today! Head over to VerveLaser.com to book an appointment at Dr. Bracci’s New York or New Jersey locations. You can also call directly at 212-888-3003. Find Dr. Bracci on facebook by clicking here. 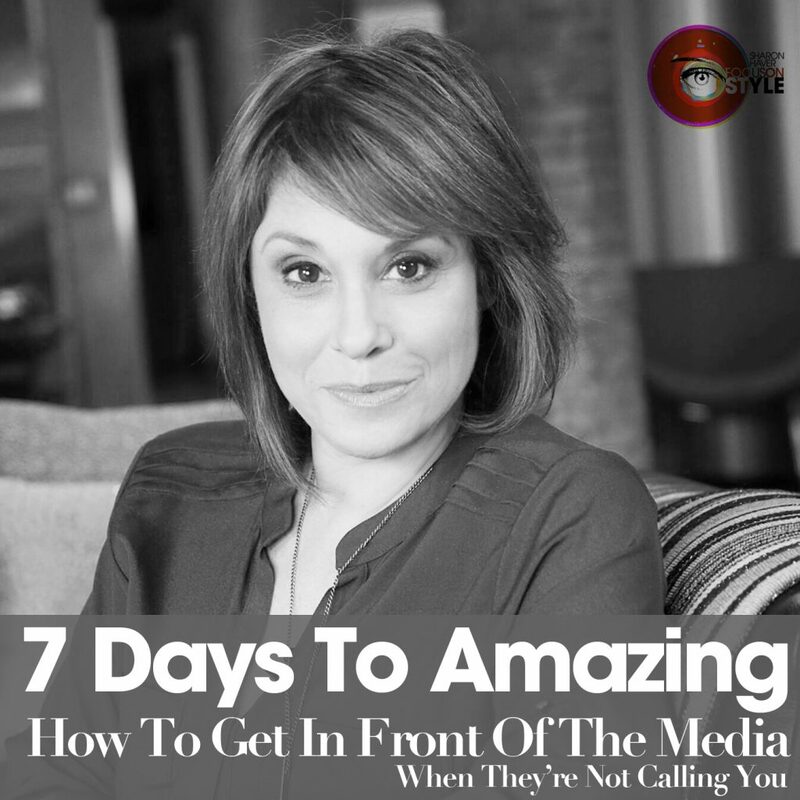 Announcer: Welcome to the Seven Days to Amazing Podcast where you learn how to make your life, business and style even more amazing in the next week! Now your host, Sharon Haver, of FocusOnStyle.com. Sharon Haver: Hello, Chicsters, I am always finding myself grooving to that music. If you like these jazzy beats, you probably come from a generation where you are going to want to really listen close today, just saying. 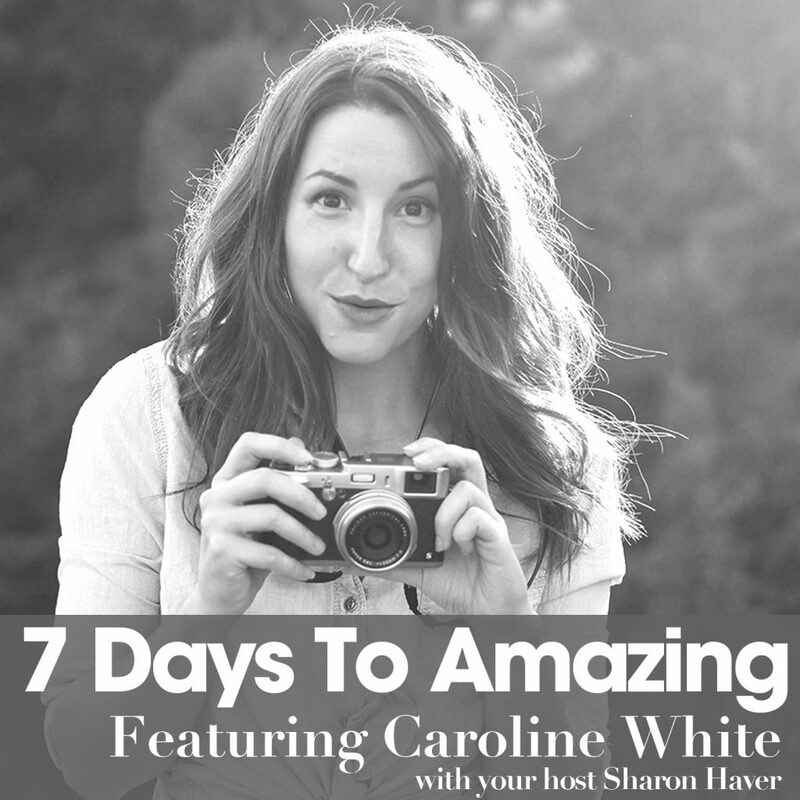 I am Sharon Haver and you are about to be amazed. 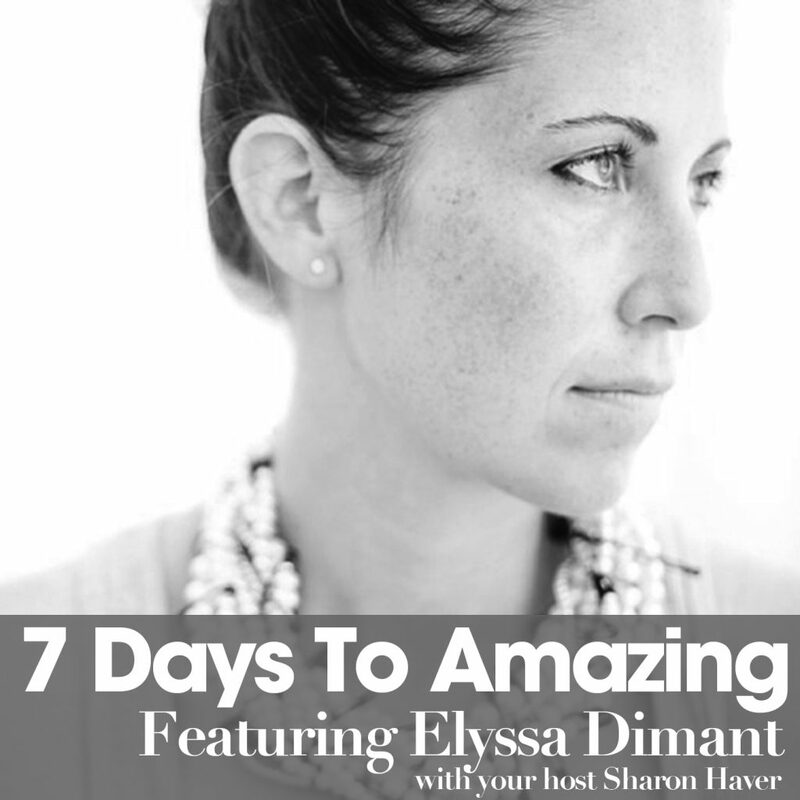 I have a very special guest on today’s episode of 7 Days to Amazing. Just as technology constantly updates itself, so does the way we look at beauty and what is available to us. Advance beauty solutions make it easier and more accessible than ever to maintain a fresh and natural glow. Dr.Stephen Bracci is the owner and founder of Verve Medical Cosmetic est. 1999, where he focuses on, get this, non-surgical solutions to improve and maintain a youthful appearance. His gorgeous studios are in Manhattan and Bergen County New Jersey. Dr. Bracci can be found online at Vervelaser.com. He resides at the Mount Sinai School of Medicine in New York City with residencies at New York University and Yale University. What brings Dr. Bracci to 7 Days to Amazing today is that he is a creative person with a particular interest in visual aesthetics. In case you haven’t noticed, we live in a visual world. Thank you social media for having our page right up there alongside celebrities and industry leaders in our fields. Dr. Bracci’s particular interest lies in restoring and maintaining a youthful facial structure through the application of non-surgical injectables cosmetic fillers and Botox to support the skin and relax wrinkling. What he does is make people not only appear more rested and restored, but in a way return their face back to its original shape. You might want to read between the lines and say no creepy look like you got caught in the wind kind of facelift here. Basically, Dr. Bracci’s method of facial aesthetics is the opposite of the old-school facelift which focuses on stretching and pulling the skin to a different position to match the changes that occur with age. What Dr. Bracci does is restore the lost foundation under the skin which supports and redefines the skin and artfully restores the shape. I don’t know about you but going under the knife is not something that interests me, but having a glow sure is. So my friends, you are about to be visually amazed. Welcome Dr.Stephen Bracci. I am so excited to have you with us here today. Dr. Stephen Bracci: Thanks Sharon, I am excited to be here. Sharon Haver: Great, so tell us a little bit on- I know you are saying its visual aesthetics and it just keeps people looking like themselves; natural, better but not exhausted, cold, yanked, weird and creepy looking. Dr. Stephen Bracci: I was always very detail oriented in terms of what I could visualize. I have always picked up visual clues since I was a little kid. I was just like this and I always viewed things more visually than I did the written and spoken word. I knew this from a very early age. What I knew in the late 90’s, we knew that there was this whole concept that we could engage the idea of non-surgical approaches to making people look better and the field has really taken off. It is in many ways changing the way we approach people as they age. Sharon Haver: Yes, I know one of the things about you is, as they say about doctors, you have a good hand. I think when people go into anything like this; you really need to be with someone who has a good hand and a good eye. We have all seen the results of things that scared the living daylight out of us. I know a lot of people are afraid to look at advanced beauty but, it’s with us. It is like what I said in the intro. Technology updates itself and so does the way we take care of ourselves, especially if you are a business owner or you are in social media. It’s your job. 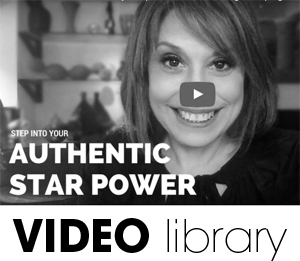 You are in the same light as a celebrity and an industry leader. You can’t have yourself looking burnt up and chewed up when there are options to help you look fresh, and there is nothing wrong with looking fresh. Looking creepy is one thing, and if you want to do nothing to your skin, I mean that is totally fine but, I have been using anti-wrinkle cream since I was 16 years old. I was a kid growing up and I said I wanted to look hot at 40. How would I look hot at 40? I said either play my luck in craps and figure out “okay I will, I come from good genes” or I could put on a little moisturizer every day and some stuff under my eyes. It was natural to me. It’s that taking care of yourself skin-care, having a regimen everyday that you follow, was normal to me. Then taking advantage of things that take it a little bit further is icing on the cake, it’s what’s happening in a modern world. That is kind of a long one for me but, what was your defining moment, your first career hallmark to decide that this is something that you wanted to do, and that you could help people take the tried and true to the next level and still look real and gorgeous and beautiful, and not creepy? Dr. Stephen Bracci: The two biggest career hallmarks were in the late 90’s. We started coming to the idea that we could do things for skin with lasers to improve the texture and color of the skin and reverse some of the aging and damage from sun exposure. But the biggest thing that really changed my career was the advent of my procedure that I developed in the mid-2000’s, and that is the Eyerise procedure. Basically up until the mid-2000’s, there was really nothing on the market to address under eye bags. The biggest complaint that people had was they looked tired and people accused them of not getting enough sleep when in many times, people had a full night’s sleep and they still looked tired. A lot of it is a genetic thing that happens to people over time. I started thinking about the eye area and saying “what’s going on?” People are not gaining skin, they are not gaining fat, but what’s happening with time and age. They are losing foundation underneath their skin. Obviously, everybody has a different factors with their face. Some people are particularly skinnier. I call them skinnier because they don’t have a foundation under their eyes. When they age it becomes even more pronounced than earlier if they get bags under their eyes. What these bags truly are is a loss of foundation as the loss of structure that is contouring the skin and then they get an indented appearance, which makes them look tired. I developed the Eyerise procedure which is basically supporting underneath the skin with various fillers to restore the shape for the eyes. What that does is get them back to where they were previously. Like you said, it is the antithesis of surgery because we are not cutting and pulling the skin, we are supporting and lifting under the skin and getting it back to its original position, rather than changing the position. That was something that took off in the mid-2000’s and we’ve done many more things since then. Sharon Haver: Tell me, if someone was coming to you and they were just a little concerned that they were looking tired. How would you work when dealing with someone a little gun-shy at doing anything? I think so many people are afraid to take a chance thinking that this is going to be something permanent, when none of it is permanent. What do you think is the right initiative to take care of themselves this way? Dr. Stephen Bracci: The biggest thing that people fear is that they are somehow going to look different than they originally looked, they are going to alter their appearance and they are going to do so permanently. The first thing is that in any procedure I do is not permanent, number one. Number two, these procedures are done in front of a mirror when you are wide awake. Basically, I’d usually take little baby steps and show them the improvements and get their approval to go on to the next step. It isn’t something like you take it or leave it. You get the procedure and walk out and you don’t get upset. It’s not like that at all. It’s just the opposite. You have the ability to- it’s like adjusting your hair length. You can go along and decide how it is during getting your hair cut. It’s no different than that. The third thing is that the procedure allows me the ability to reverse the main product that I am using under the eyes. For example, if it is gel, that gel can be dissolved and turned into water. If people really didn’t like it they could take it out. I don’t think I have ever done that because people have liked the procedure. If you give somebody too much, you can adjust it down. You have a lot of control on the actual results of these procedures. Sharon Haver: Another thing, and I know we have spoken about this in the past which is one of my pet peeves. You see someone and they’ve obviously have had a lot of Botox on their forehead. Their forehead is shiny and tight, you can flip a quarter on it. They have a horrible crêpey neck, they have really big frown lines and they are just- the contrast of where they are so wrinkled would probably have looked okay before. Now it is heightened against something like a really tight forehead. I know you talk a lot about symmetry and balance and keeping your whole face in sync because obviously we don’t wrinkle in one area, and not the other. I think of this like you are painting your house. You see this little piece of dirt on the wall and you go get white paint. You paint the dirt and you cover it and then all of a sudden something else looks wrong. On one hand you want to know when to stop, but on the other hand you want to make sure that everything looks balanced and not like one area is too done or softer, and by contrast everything else is more wrinkly. How do you deal with that to create symmetry and natural balance? Dr. Stephen Bracci: I agree with that. The biggest challenge with my industry is people going in and telling their physicians or their provider what they want rather than getting an expert opinion on what is going to make them look best overall. It obviously depends on their budget, what they want to accomplish. But for somebody who is very wrinkled and has deep folds between the nasolabial folds (the folds between the nose and the mouth), it doesn’t make any sense to get big plump lips because it’s going to stand out. I always educate people when they come in for lifts; you have to treat the area around the mouth before you can treat the lips. If it doesn’t match it is going to stand out and everybody is going to know you had something done. It has to match the area adjacent to it. Of course you look like you are trying too hard and it’s not a good look. Sharon Haver: No it’s not. The other thing is too- I know a lot of women get those little furrows between the eyebrows and then you see them do a Facebook live video, and it is really close on their face and they have these two deep furrows and it makes them look angry. They always look mean and angry and maybe in real life it’s fine but when you are on camera, it shows more. When I was a stylist, I did tons of magazine covers and now social media has made it so that every photo is your magazine cover. It’s like we are living in a constant close-up world which sends sub-conscious signals to someone that she is mean, she is angry and it is really the wrinkles. How do you deal with someone who is mostly an entrepreneur or someone whose business is on social media where they need not to look done-up and kooky but they need to look authoritative and relaxed? Dr. Stephen Bracci: Well, that area between the brows is treatable non-surgically. The first and foremost thing is that we use Botox to block the muscular furrow that actually wrinkles the skin. Basically what is going on in that area is that you have muscles that keep wrinkling the skin over and over again. In turn, that wrinkling of the skin causes damage and causes collagen breakdown where you get rusting lines. That will give a big improvement. For people who have deep furrows that continue even at rest, we can actually fill underneath and restore their foundation so we can block those curvatures that we call that furrows between the brows. We can restore a completely normal appearance that is unidentifiable in any photograph or on video, especially as you mentioned on high definition TV. We can make it look natural and restore the shape back to its original position. So it is not identifiable even to me as I am obviously am an expert at this. I have studied this and I study people’s faces and the key to my work is when the client returns to not know, by looking at them, what was done. I have to look at a chart. That is the way I judge my own work. It is to say, okay, when this person returns, when I look at them, would I know that they had anything done had I not known they were here before. That’s my litmus test to see that this person looks like they are still from this planet. That is the goal, to make them look like they are real. Sharon Haver: Yes, I know. It’s one of my real obsessions! I love it. Especially now that I have been doing a lot of travelling and speaking and go to small towns and places where you see these people who are trying to keep up but they are not keeping up in, I don’t know, a more national, global updated way. You see them and you are like, “oh my God, that is some facelift! Oh my God, that is some Botox – they can’t even move.” When I was growing up as a kid they used to call that kind of obvious work the Dr.Diamond nose job. You would look at girls and they would get these tiny noses that were adorable but they didn’t match their face. It was sad as would see them getting older with these tiny little noses and the big faces. I always felt so sorry for these people because they didn’t go in thinking that they would come out looking weird. I always ask people what does amazing mean to you? If somebody wants to look amazing and they are a little gun-shy, what does this mean to you? What do you think they should deal with? When do you start, how do you start? Do you start with cream or do you start with procedures that are current? Give us a little bit of where someone who knows nothing about any of these things and doesn’t want to come out looking like one of those weird Dr. Jekyll, Mr. Hyde characters? Dr. Stephen Bracci: The first thing is around the eyes and the forehead and the corners of the eyes and to address the wrinkling of the skin. I always say to younger people, if they can do Botox a couple of times a year, it will look natural. But the key to that is that they will not only get improvements in the way they appear, but they will also give a preventative effect. Because the more, like I said before, the more your skin, the more it damages the skin and the more damage you have as the collagen breaks down and you develop resting lines. For the upper half of the face, the best thing that we have come up with in the last 15 years is that people can do Botox and they don’t have to do it all the time but they can do it a couple of times a year and they can get tremendous benefits because they can look better, and not only when the Botox is taking effect. Botox will last at best to three or four months when you get a treatment. If you do Botox a couple of times a year, you can give yourself a rest. That skin rest allows collagen in the skin to repair itself because it is not moving and you can prevent wrinkles. For the lower two-thirds of the face, the biggest thing that happens Sharon, is that we lose support; we lose foundation underneath our skin. All the creams in the world and all the good hydration and carrying a water bottle is not going to address the loss of foundational structure underneath your skin. These structures under the skin naturally deplete with time and age. They include things like muscle, bone and fat. That is a big loss. People are always wanting to lose fat but obviously your fat in your youth is the contributing factor to how young you look. If you deplete all the fat on your face, what is going to happen is your skin is going to have a loss of support and it’s going to fall and wrinkle differently. It is just a fact of life. The surgical approach that we had of yesteryear was “well, okay we have lost foundation and now we have more skin than foundation. Let’s go in and cut. Let’s stretch everything back.” You and I know that this fixes the wrinkles but it doesn’t necessarily make you look better. It makes you look different because now you look way too tight, you look stretched. Sharon Haver: Now you look like an alien. Dr. Stephen Bracci: Alien, exactly. The lower half of the face, if you can re-support the skin and give yourself some foundation back which requires an artistic hand and eye to restore the shape of the face. You are well on your way to looking better than you appear with each passing decade. That is a given fact. You can look much better, you can look rested, you can look real, and most importantly you can look more like yourself instead of somebody different. Dr. Stephen Bracci: Pain is always a relative thing. I know because I do these injections on myself. It is far less painful than when I go to the dentist. Basically, the way I do procedures, I don’t use needles; I use what we call a cannula. A cannula is a small tube and once it is underneath the skin, I can insert the products in different locations and you don’t feel it because cannulas are not sharp, they are dull and they allow you to put products underneath the skin and support the architecture with minimal discomfort, very minimal. I don’t give any pain medicines because people don’t require them. It is obviously more of an odd feeling when you get these treatments than it is painful. Sharon Haver: I have a Facebook group. It is the FocusOnStyle Insider’s Club for people on my list. I asked the group member’s a couple of questions to ask you and I have them for people listening in. If you would like to be able to be in my Facebook Insider’s Club, it is really easy. 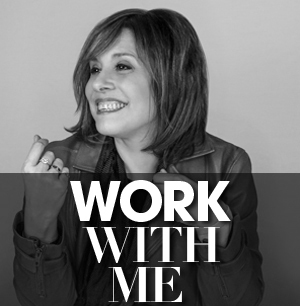 You can go to www.focusonstyle.com/insiders and get all the information you need to sign up. But in the meantime, I have a couple of questions and if you don’t mind, I’d like to help them out as they are asking me to ask you to see if you can give them some advice. Valerie asks: How do you stop aging in its tracks? What is the best thing you can do mid-life to slow the whole thing down? What is more important, diet or exercise, vitamins and supplemental health? Dr. Stephen Bracci: I think diet by far is the most important thing as it relates to the whole makeup of the body in terms of getting the adequate calories and proper nutrients and not getting too many calories obviously. But second to that, the whole idea of aging in medicine is not addressed the right way. I think it should be measured in terms of your functional capacity, and that is your ability to have strength, your ability to have endurance and carry on normal activities of life. You cannot maintain it at a high level for a long time unless you exercise, it’s impossible. You can’t really say one versus the other. Definitely both of those combinations. If you look at longevity studies, basically, there are all the places in the world where people live the longest, they all have the habit of doing daily exercise. They are working out. The people that live the longest tend to their gardens every day, they tend to walk and obviously they live on more of a planned diet with mostly fruit and vegetables. Those two things in combination can help you escape and avoid the aging process or minimize it. You are not going to avoid it but you want to minimize it. The goal should be being highly functional as long as possible. I think that is a more realistic goal than avoiding the aging process. Sharon Haver: Yes, functional and vital. Okay, PJ asks: how much sleep for optimum skin and health, what are the best products to use that are proven, none of the fancy crap? Dr. Stephen Bracci: Okay, so sleep, we know that most people need somewhere between seven and nine hours of sleep. If you go to a movie theatre in the middle of the day and you are watching a movie and if you doze off, you are probably not getting enough sleep. The only way people know if they get enough sleep is whether they can nap in the daytime. If you can nap in the daytime, chances are that you are not getting enough sleep. Obviously if you are relying on alarms to get you up, most of the time that alarm is going to be shut off before your actual natural wake cycle is, then you are probably not getting enough sleep. Most Americans don’t get enough sleep and I think it contributes to their bad appearance, and it contributes to their ill-health and diminishes their longevity. Sharon Haver: Yes, Jency asks: why is aging bad? Why aren’t women nowadays just able to embrace it? Dr. Stephen Bracci: I don’t really know why people have this concept that they have to be functionally impaired. It is a normal thing to look and appear functionally in disrepair. I don’t understand that. Because I do not know what this is. It is like saying, why is it a curse to take care of yourself? I guess, it is like when you are in school, when you are younger, people say that you shouldn’t tell anybody you study hard or work hard in school. What’s wrong with that? What’s wrong with you if you want to take care of yourself and look good? What is the alternative look? Sharon Haver: The alternative is to be dead and there you go… I say if I am going to be alive, I want to be good of course. You want to feel confident and I think most people feel confident when they look good. I know when I talk about their style, personal or business, there’s that extra kick in your step you get when you know you’ve got it going on. You feel good. You feel much more confident. That confidence translates to what you do as a business person. It just makes you more viable. It makes you feel better. Dr. Stephen Bracci: You present better. 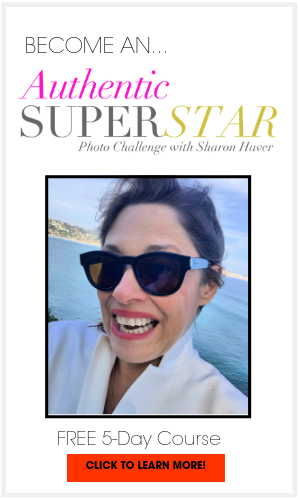 Sharon Haver: Yes, you present better. With that, you end up doing more things, get more riches. With those riches, you are better for your family, you are better for your friends, you are better in your business. It is a very positive outcome. It becomes a positive domino effect. One where each thing begets the other. The thing that we are trying to discuss is why is aging bad? I mean, why is personal hygiene good? Do you not brush your teeth every day, do you know not to fart in public? Do you use deodorant? [Laughs] It’s like you do that, why can’t you take care of your skin and yourself? Dr. Stephen Bracci: I get it, he looked good! Sharon Haver: He looked good for his age, yes. But with that don’t you you feel that sunscreen is so important? I don’t really understand this argument because for me, take care of yourself. If you put conditioner on your hair, don’t you look better when your hair is well-groomed than when you are un-groomed? I just like to call it Advanced Beauty. Just like everything in life, it is a choice. You can choose to take care of yourself or you cannot. It’s a choice. Dr. Stephen Bracci: It shouldn’t be a sin to take care of yourself. Sharon Haver: No it’s just, I don’t understand it. I understand that there are a lot of times when you hear someone telling you “I will never do that.” Well that’s great. Except when you are 40, 50 or 60, do you still feel the same way? [Laughs] No, our values change. Dr. Stephen Bracci: Things change, I mean I remember when I was little in the 70’s and it was a big deal for women to color their hair. It was a big deal! It was like, “oh my God!” is that real? Is that a wig? Because people didn’t color their hair, now, many people color their hair. It has become normal. Nobody even questions that. Quite frankly, you can go up to a woman and say, “oh, I like your hair color.” Remember, it looks nice. Nobody says anything. They are not in denial. Sharon Haver: Do you know how much I paid for that hair color? Now we have a question from Elizabeth. She says: how do you make an aging body keep up with the young one in your mind (wink) while honoring the age you are now? Dr. Stephen Bracci: Well, I don’t think one contradicts the other, you can honor the age you are. But like I said if you take care of yourself and exercise, you are going to present yourself as a much more youthful person because you are going to be much more functional. I see people trying to- one of the things that I see is that people that don’t exercise, when they are older, if you see when they turn their head, a lot of times they turn their whole body. It’s it as if their neck joint becomes more stiff that they don’t even use their neck any more. They turn their whole body when they turn, because they are stiff. They are not using that part. It is not different than as definite when you get on your knees and your elbow. If you don’t have enough muscular tone, then you are going to start changing the way you function and the way you function makes you appear older. I don’t care if you have the most youthful looking face in the world. If you have that kind of body image, you are always going to appear much older than you are. Sharon Haver: I agree totally. Okay, one last question from Dana: is there anything I can do to beef up my spots above my eyebrows? Dr. Stephen Bracci: There is a medicine on the market called Latisse. It got approval for lashes. Interesting enough that works on the brows too. The tissues and medicine that stimulates, they actually found Lattice to work as it was used as a glycaemia medicine. They found out serendipitously that people that were putting this on their eyes were getting longer lashes. They did a study and sure enough, people’s lashes grow a lot longer when they taking Latisse which is basically a once a day liquid drop that you put on your lashes. You put on your eyebrows, it will thicken them tremendously. One of the things that I always tell young females is to not pluck their eyebrows or to do very little of that because what happens is that naturally you will lose your eyebrows with time and age as you grow older. When you are younger if you are basically plucking your eyebrows, what you are doing is you are damaging your roots. Then those damaged roots are going to obviously be subject to the changes as you age then you will lose your brows. That is why you see a lot of middle age to older women basically have to start penciling in the brows. When they were younger, they over-plucked their brows. I tell my daughter and I tell people that on Amazon you can get these little brushes that are like razors and you can trim the brow without damaging the roots. You don’t have to sacrifice the shape of your brows when you get older. You don’t have to- but if you do have thin eyebrows I am convinced- I have seen people. It definitely works to put Lattice on the brows. It is not an appropriate use of it, but it works. 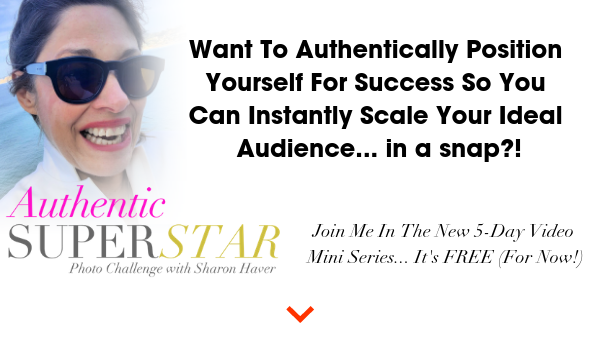 Sharon Haver: I’ll try that. Dana, if you need a good brow pencil I like Anastasia of Beverly Hills, M.A..C. and Talika. They look real when you pencil them on. I have a question. It is kind of a hard one because they wouldn’t come to you to begin with but it is okay. I have two questions for you that I like to ask you. What do you- do when someone is resistant to doing these? What do you say to them? I mean obviously if they came to you they are considering it and they are a little gun-shy. If somebody is resistant, what would you say to not doing this and what is the resistance you usually see in your practice if any? I’d assume that once they make the call to you to use a verve laser, they are thinking about it. Dr. Stephen Bracci: The biggest fear that people have obviously is that they are going to look fake. Nobody wants to look fake. I get that obviously some people look fake but very few people want to look fake. Most people want something done but they don’t want it to be noticeable to others. I show them with photographs and I allow them to see the process as it goes along so they have control. A lot of it is a control issue. They feel like they are secure if they can opt out at any given time during the procedure. That gives people a lot of time more confidence to do the procedures that I offer. Sharon Haver: Control is very interesting. I noticed that myself when I have people talking to me for VIP sales and all those sort of stuff. There is definitely the resistance I get is the control is just like sometimes it’s so easy to- especially in business to sign up for all of these business advancement things and do all these things that you could sort of push papers around. But when it really comes to looking in the mirror, they kind of freak out because it is a control issue, it brings up all sorts of warnings. They realize sometimes that they don’t want to succeed. That they are purposely holding themselves back, it can become very emotional as well because you are dealing with things that you want to burry. Dr. Stephen Bracci: More to your point that people have been told for years, that somehow they are a sinner and they are not authentic if they don’t let things go the way time and age have in plan. People are changing their opinion about that. It’s not such a sin to want to look good. It shouldn’t have to be something that they have to apologize for. Sharon Haver: Yes and it’s- that is like technology I mean. Who would have thought 10 years ago that I could tape this audio, it could be recorded and I can have somebody send it to Michael to edit, put it up online and have it go out in few seconds and no one ever left their desk. I still find the Internet amazing. I still find Google amazing. I find my iPhone incredible. Ten years ago who would have thought that that would be happening in everyday life? To me it is the same thing. What is amazing for you Dr. Bracci in your life? What is amazing to you? Dr. Stephen Bracci: Well, the thing that is most amazing is when I can take somebody that feels like they are tired that doesn’t look like themselves and just don’t present the same way and I can treat them and I can restore the shape of their face because the point when they are not only much more rested looking, they look more like themselves and quite frankly they look much more attractive. It is a very rewarding feeling and the happiness that people express when they can look in the mirror and see their face restored to an earlier position makes them very happy and that is a very rewarding feeling. That is my amazing. People don’t have to sacrifice and look fake, they don’t have to look different, they don’t have to go through crazy surgical interventions. They can do something that is done in the office and they can get into their results and they can basically do something that has minimal to no downtime. The key to this, the biggest key to this is that it can be maintained. What I mean by maintenance is that they do these procedures on a yearly basis. The structure and the shape of the face can be maintained indefinitely. That is the biggest thing that we couldn’t do in the past. We couldn’t maintain the shape of the face and we tried all these harsh remedies like surgery and fancy make-up which basically camouflages the underlying problem. We can actually restore the shape of the face and maintain and that is something that we couldn’t do in the past. Sharon Haver: There are a lot of the creams that have been like a Band-Aide while not solving the problem. If someone wanted to have three or four things, I love to give people take away tips. 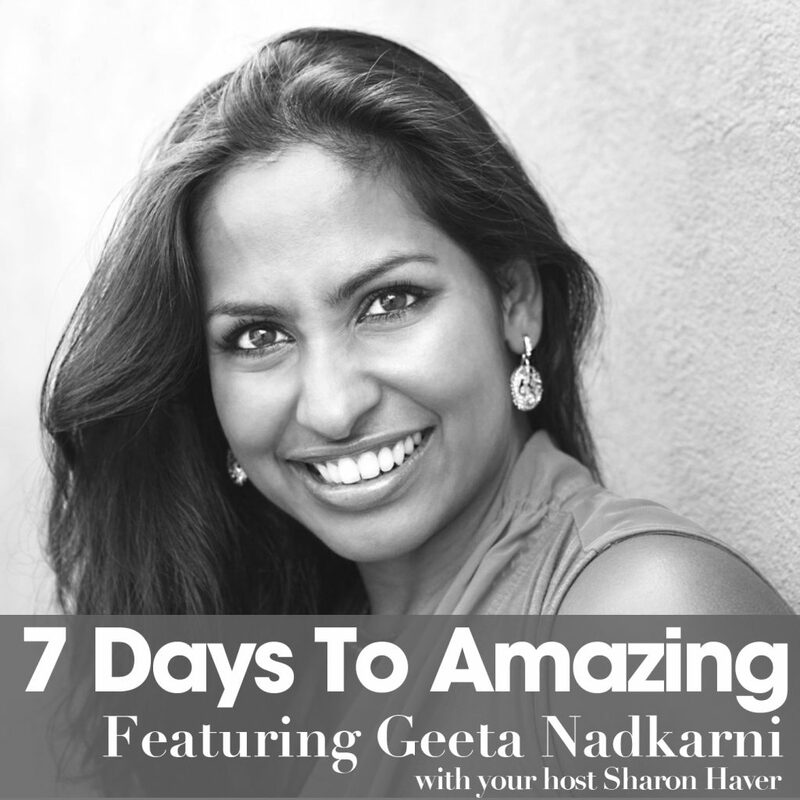 What three or four things can you or two or three or whatever you want can you recommend for someone to just be more amazing in the next seven days? Dr. Stephen Bracci: I guess the key; we have touched on these things. The key issue is take care of yourself. The first thing is just get enough sleep. Just pay attention to your body and if your body says it a seven and a half get seven and a half. If your body says nine get nine but you have to be honest with yourself because if you are sleepy in the daytime and you can fall asleep watching t.v at noon, you are not getting enough sleep. If you are struggling to wake up in the morning, and you have all these alarms and the snooze buttons, you are not getting enough sleep. It is the simplest thing to do and studies show over and over again that one of the most disruptive things that you can do to your body is have sleep disquisition especially people who work shifts and night time workers. They suffer a lot of health consequences and they have a lower life expectancy. Not to mention that they are more likely to be obese, more likely to have depression, it goes on and on. This is really rough stuff. Second thing is just find an exercise program that you can do and you are going to maintain. Some people, if I can handle walking 45 minutes a day or some people it’s I like swimming or I like cycling. But it has to have something in your day that keeps you highly functional and something you can do every day and something that you enjoy. I guess the other things are just pay attention to the things that make you happy. It’s a cliché but you have to set out times for yourself in terms of your happiness with family and friends and just enjoying yourself. Just know that in terms of your facial architecture, there is a lot more that we can do now. We can keep you looking rested and real and keeping the shape of the face the same with injections and you don’t have to have surgery. Sharon Haver: Sounds pretty good to me. What are the best ways for listeners to connect with you? How can people find you? 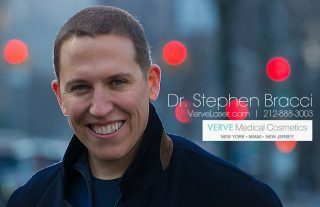 Dr. Stephen Bracci: You can go to my website which is Vervelaser.com. You can find me on Facebook, and you can most importantly come to my office and meet with me personally and I can give you my expert opinion. Sharon Haver: Do you want to give a phone number or something so that they can find you. Dr. Stephen Bracci: Sure, my number is 212-888-3003. Sharon Haver: And if you are not in New York, Vervelaser.com and Dr. Bracci will talk to you and tell you how you can feel amazing. Sounds pretty good to me, thank you for coming here today – I think we all learned something. I love talking to you because I find it so interesting and I know we have spoken in the past and you know how I hate that crazy wind blown look. I just think really Advanced Beauty is about maintaining confidence. Some people say they look better now than they did 20 years ago maybe because now they are actually taking care of themselves. It’s like the new buzzword is self-care. Hey, there is nothing wrong with self-care as you are going to love yourself too. Thank you for being here and everyone reach out to Dr. Bracci if you have any questions. 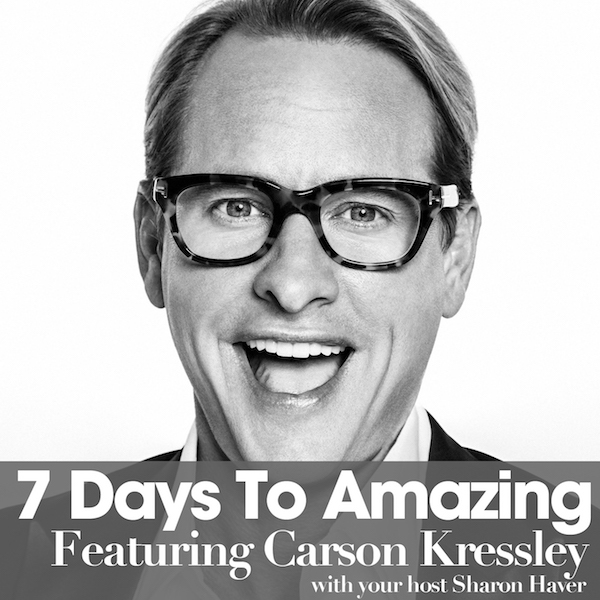 Talk to you soon everyone and thank you for another great episode of 7 Days to Amazing. Dr. Stephen Bracci: Thanks for having me! Announcer: That’s a wrap, well not so fast. 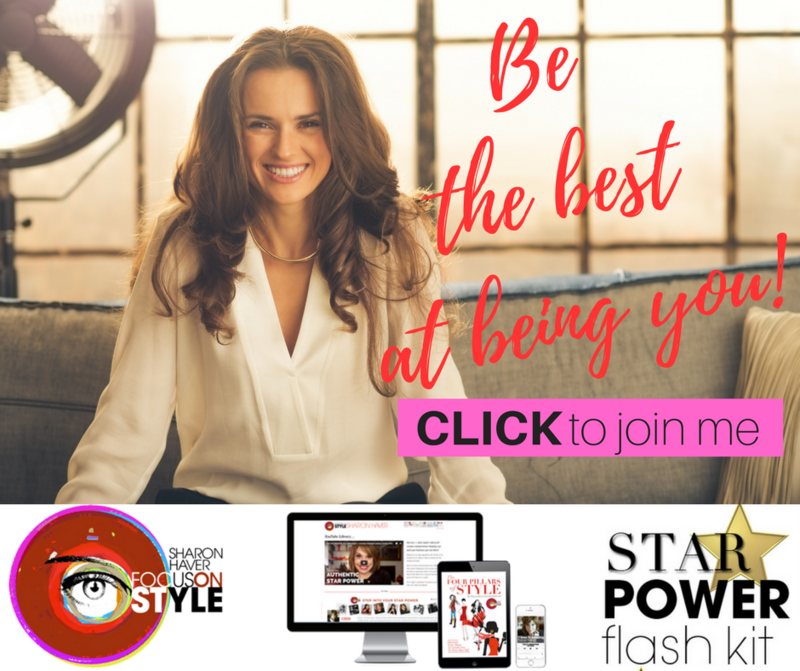 Don’t forget to hop over to focusonstyle.com for exclusive content to help you live your most amazing life with style and success. For even more great stuff that Sharon only shares by email, subscribe to her in-the-know list at www.focusonstyle.com/insiders.